It’s no secret that office buildings are valuable assets. Not just from a real estate point of view, but because of their contents. And it’s often those contents that the rogue elements of society want to steal! 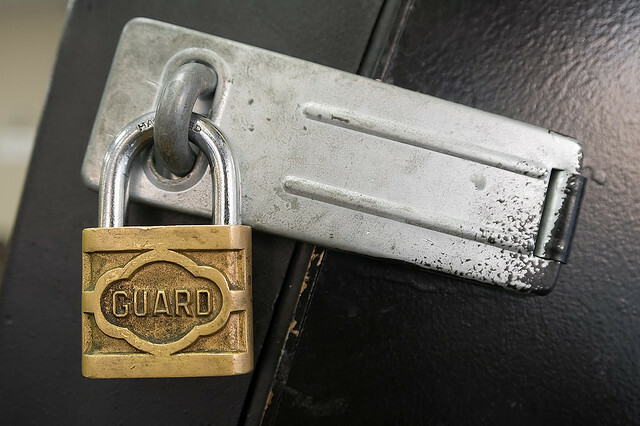 For many business owners, building security is an enormous problem. The sad truth is that there aren’t any ways of completely stopping intruders from gaining access to a building. You could, of course, hire a small arm to form a human perimeter around the building! The good news is that you can use deterrents to make thieves think twice about breaking and entering your building. In today’s handy how-to guide, I will show you how you can use technology to secure your office building and its contents. That’s right; you will be learning about some 21st-century theft deterrents! Also known as CCTV or “closed-circuit television.” Surveillance cameras are a good way to deter thieves from breaking into your office building. Decades ago cameras would be hard-wired to a control center where an operative would keep a watchful eye in real-time. These days, state of the art surveillance cameras can operate in areas where there is no electricity. Plenty of businesses use wireless, battery-operated cameras in hard-to-reach areas. And for those areas where access to wiring circuits is available, network cameras can get used. The thing I love about cameras connected to office networks is that you can access them over the Internet. It’s handy for building owners that have their premises monitored from a remote location. Such as the headquarters for a security company, for example. Today’s modern IP cameras, as they are usually known, can pan, tilt and zoom. You can buy cameras that offer night-vision and ones with a high frame rate. Gone are the days of pixelated, fuzzy and slow camera feeds! Lock and key have always been the traditional way to enter or secure a room. But, what if you are looking for an improved 21st-century approach to office security? In that case, you should consider smart card access control. Smart cards get programmed by a card “writer,” often by security personnel or management. With smart card access control, you can allow workers into individual zones within the building. For example, someone that works in Accounting doesn’t need access to the server room in the IT department. Whenever you need to access a room, you slot or swipe your smart card into a reader. Such control systems are useful for determining where people are within a building. That information may be of importance in offices where sensitive work gets carried out. Another benefit of smart cards is that they are no bigger than credit cards. That means you can keep them in your wallet. Some folks prefer to have them around their neck on a lanyard. Some companies that use smart card access control also have the person’s photo and details printed on them. It helps security guards identify them visually as they enter the building but before they head towards a secure area. If you’re based in a large office building, you will doubtless have a large car park that your employees and visitors can use. But how can you manage who parks there and in what sections? Car park access control measures often get used in such situation. Some office buildings use ticket barriers. Employees have to insert a paper scratch card into the machine before the barriers will open. Workz scratch card printing is one place where companies can get scratch cards made for their employees. In commercial environments, the cards don’t usually get made on-site due to time and budget constraints. In other office building parking lots, a PIN-based system gets used. The benefit of this system is you don’t need to carry a scratch card with you wherever you go. But the downside is you might forget what your PIN is! Perhaps one of the easiest ways to secure a wireless computer network is to ensure that a top level of encryption gets enabled! WPA2 encryption is one of the best forms of wireless security to date. The way it works is simple. You enter the correct wireless network “passphrase” into your device. It then initiates a “handshake” where the host network compares the passphrase to what it knows is correct. If both the supplied passphrase and the actual one match, it allows the device to connect. Most organizations will use some form of network access control in their offices. Users would log into their workstations. Group and user policies determine what parts of the network, if any, they can access. That means one department won’t access the contents of another’s shared folder on a network server. There are many ways that you can set up network access control. For example, let’s say you’ve got a NAS (Network-Accessible Storage) device. With those devices, you can set user and group permissions for folders on the drives. File servers have even more options that administrators can set for users. It’s safe to say there are a myriad of security options that will keep unauthorized persons out of areas they don’t belong! Sometimes you might need to step up the level of security in a building. For instance, let’s say that you are working on top-secret stuff that you don’t even want some employees to know about! I know that all sounds quite secretive. But certain conditions mean that it could be catastrophic for any secret projects to get leaked to others! In those cases, conventional access control methods just aren’t good enough. For such applications, you should consider biometric scanning! You can install systems where a scan of your retina or fingerprint gets made before you’re allowed to enter a building or a room within it. The only downside to those systems is the cost. But if you need to protect your premises, you’ll not be too concerned about the expense! Awesome tips! We need to stay a step ahead of those that are trying to steal from us because sadly just as we can use technology to protect ourselves and our businesses, criminals can also use technology to steal from us. Thanks for sharing!